Gladys here thanks for stopping by the Butterfly Reflections Ink blog. Today I'm sharing this card which is not my usual but I wanted to make a card other than critters. 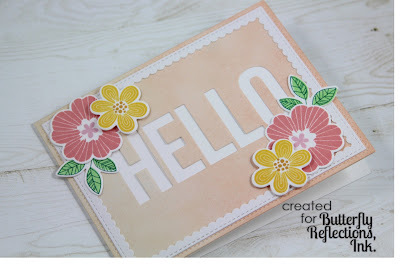 I really love my floral stamps and this one called Bold Blooms by My Favorite Things is no exception. It's no surprise I love MFT products! I used MFT premium inks to color my background and flowers. Did you know you can buy MFT inks pads in the shop? Some of the images on this stamp set allows you to layer on top of each other. 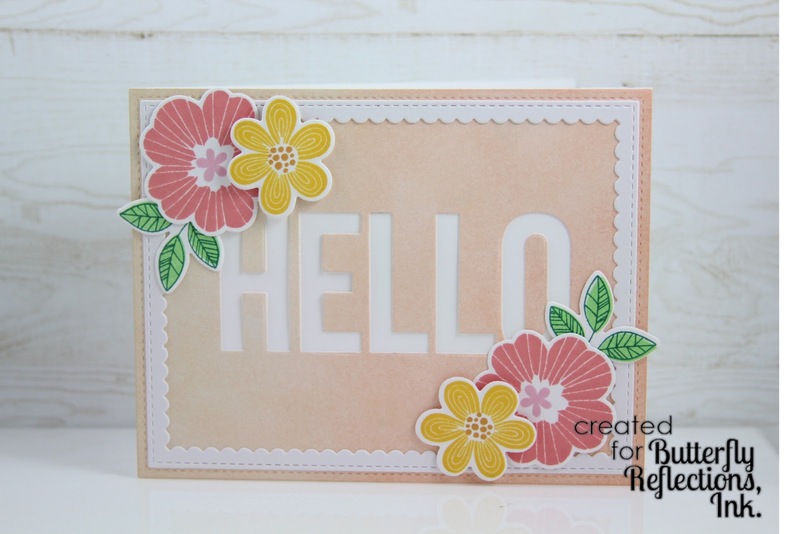 Using my MISTI tool I was able to get a nice stamped image of my flowers. Then I cut them using the Bold Blooms coordinating dies. On my card panel I used the Big Hello dienamics. I love this die because you can use the negative and positive cuts or you can piece them together like a puzzle. For this card I used the negative and I save the positive to use on another card. I added the stitched rectangle scallop frame from white cardstock. 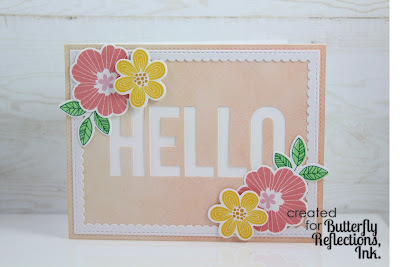 From there I arranged the flowers above and below the big Hello and that completes my card for today.